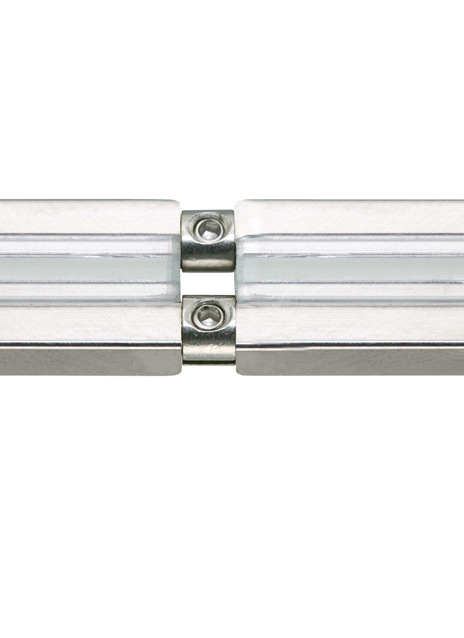 Conductive connectors join sections of rail together end to end and are included with all MonoRail pieces. Order separately if cutting and rejoining rails. Pair.